In November 2013, for the first time he was elected for the post of the Marshal of the Opolskie Voivodeship. In the term 2014-2018 he became a councilor of the region and again councilors elected him as the Marshal. 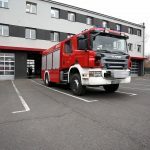 In 2014, he led the negotiations of the Regional Operational Program for the Opolskie Voivodeship for 2014-2020 and the program for Opolskie was negotiated as one of the first. 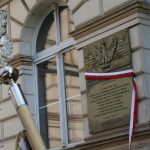 At the time when he was a Marshal, the Opolskie Voivodeship in many rankings was a leader in the use of European funds, and it still is. 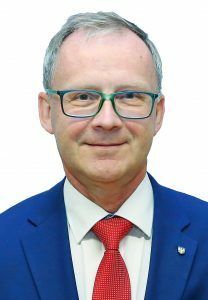 At the Voivodeship Board, he chairs his work, supervises matters related to EU funds, promotion and cooperation with foreign partners, he is also the head of the Marshal’s Office. 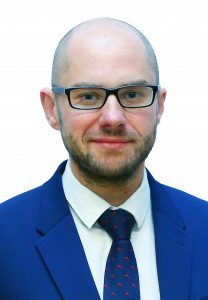 In the years 1999-2002 he was the director of the Department of Health and Social Policy at the Office of the Marshal of the Opolskie Voivodeship, in the years 2003 -2004 and later since 2014 the councilor of the Opolskie Voivodeship. In the Voivodship’s Board, he held the position of Deputy Marshal, he dealt with health and social policy issues as well as the development of the information society. Now he is again involved in health and social policy as well as in education and the labor market. 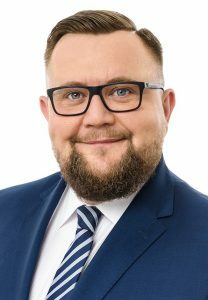 He was a councilor of the City of Opole VI and the 7th term, after eight years of experience in the city government he won the mandate of the councilor of the Opolskie Voivodeship. He has been working for the Opolskie Voivodeship for over ten years. In the Marshal’s Office he supervised the work of the Voivodship Labor Office and schools run by the Opolskie Voivodeship. On the board he deals with culture, sport and tourism, the non-governmental sector and the development of the information society. Councilor of Opole, 6th and 7th term, at that time chairman of the education and culture committee of the city council and ad hoc committee for changes in the city statute. At the beginning of the 7th term, he was the chairman of the Opole City Council. 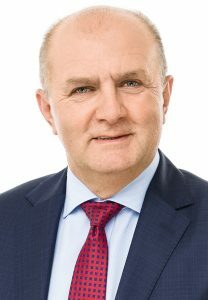 In November 2015, he became the Member of the Board of the Opolskie Voivodeship – in the board he dealt with, among others infrastructure, economy and regional and spatial policy. In this term, he is dealing with these fields again. In the years 1994-1998 he was the chairman of the Town Council in Kluczbork, since 1999 he served as the Starosta of Kluczbork for two terms. In 2006, he became the Deputy Marshal of the Opolskie Voivodeship, responsible for culture, education and health care. In 2014, he obtained the mandate of the councilor of the region, and in May 2016 he assumed the function of the Deputy Marshal responsible for the areas of culture, sport, tourism and education. In this term, he deals with the development of agriculture and rural areas as well as environmental protection.